This is 2014. We have sent people to the moon. I can be in contact with people from Australia, Germany, Israel, or someone a few blocks away from me (whom I’ve never actually met in person) without stepping away from my computer. I can see photos of my lovely and brilliant daughters, without having to thumb through an album with fading Kodak photographs. And you know what else? Our modern medicine can prevent measles: in 2000, it was declared non-endemic in the United States, meaning that there were no wild measles viruses floating around the USA. It was considered one of the great public health victories, along with eliminating smallpox and polio (almost, give it a year or so). But now measles is coming back. In 2014, the United States is seeing the highest number of cases since 1994. It’s in the few hundreds at this point, but that’s way more than before and the trend is worrying. In the past years, Europe had seen tens of thousands of cases of measles, along with numerous hospitalizations and death. This is unnecessary suffering: we have an extremely effective and safe vaccine against measles. But like brakes, seatbelts, and bulletproof vests, it tends not to work as well if you don’t use it. Recently, an anti vaccine cult member, who goes by the nom de plume of Megan, published a blog post called the Hate Debate, which was filled with all of the tropes, myths and outright misinformation of the anti vaccine cult. In other words, nothing new. [infobox icon=”quote-left”]I am sick of it – this vaccination debate. My convictions not to vaccinate have been firm for six years now and I was comfortable living a low-profile life and letting other more notable activists carry the torch; and then I started seeing misleading t.v. interviews, news stories, and backlash against parents and unvaccinated children. Setting aside the victimization complex that Megan is claiming, and the notable lack of any crucifixions of antivaccinationists on the news, there are a couple of larger, more important points. First, there are no debates about vaccination. 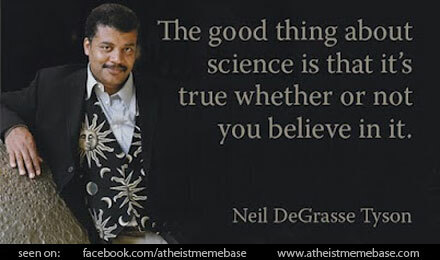 These debates are an invention of anti-science people which is similar to false debates in other fields of science, like climate change, GMOs, evolution, HIV/AIDS, and many other areas. Editor’s note – this article has been substantially updated and re-published.. Comments for this article have been closed, and you can comment at the newer article. From that one fraudulent article, some of the most dangerous outbreaks of vaccine preventable diseases can be laid at the feet of Wakefield, as parents started to refuse to vaccinate their children against these diseases. And of course, billions of dollars, money that could have been spent on actually treating and assisting children with ASD, was spent to investigate this claim, with over 100 peer-reviewed papers completely dismissing and debunking any link between any vaccine and any type of autism. So is the “vaccines cause autism” trope finally dead? 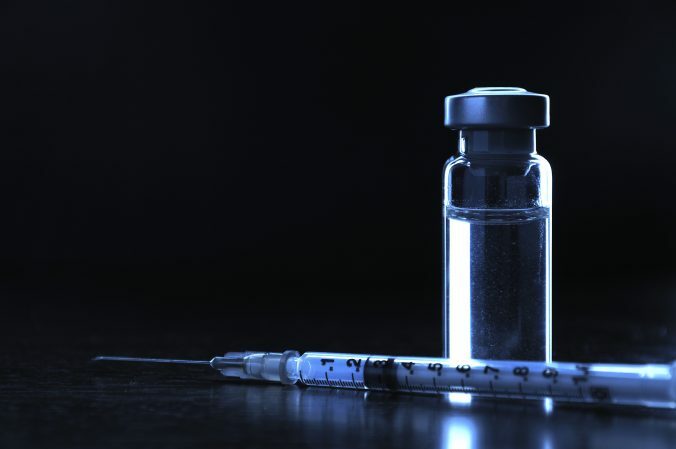 The evidence that vaccines are not linked to autism is compelling and overwhelming. And there has never been much evidence supporting the link (unless you buy into bad journals and withdrawn articles). So, is this story finally dead? 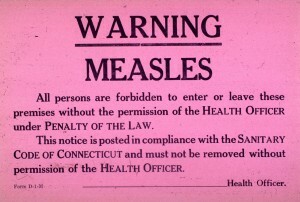 In 2000, measles was declared to be eliminated (defined as the interruption of year-round endemic transmission) in the USA. There were occasional, small numbers of secondary outbreaks since then resulting from individuals who were not vaccinated and who had visited areas that still had endemic measles outbreaks. 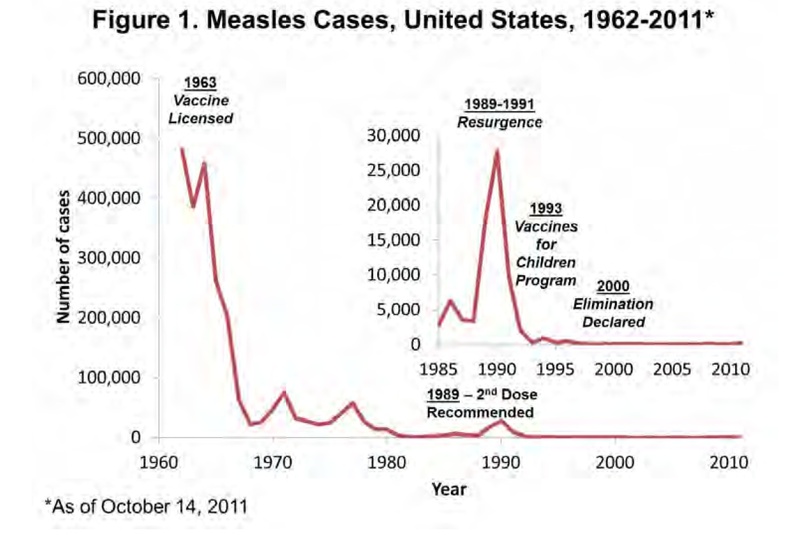 Measles incidence fell from around 600,000 cases per year in 1960 to an average of around 60 per year in the 2000’s in the USA as a result of a widespread vaccination with the MMR vaccine. This is an incredible success in public health, since around 5% of those children who catch measles require hospitalization, and 1 in 1000 die. Unfortunately, this year, measles has come back. Luckily, not as bad as in 1960, but still, after we thought we had stopped endemic outbreaks in the USA to see it return is troublesome. A new report from the US Centers for Disease Control and Protection (CDC) states that there have been 288 measles cases in the USA from 1 January through 23 May 2014, slightly less than 5 months. This is the highest number of cases since measles was declared eliminated in the USA, and more than the 220 in all of 2013 (what was previously considered the worst year). Fifteen outbreaks accounted for almost 79% of these measles cases. 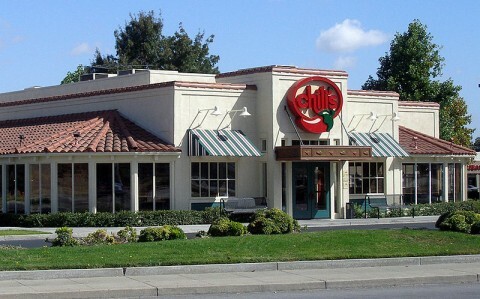 Most of the cases were in Ohio, California and New York City. What is particularly frightening is that most of the 288 measles cases reported this year were in persons who were unvaccinated (69%), or who had an unknown vaccination status (20%). Only 30 cases (slightly less than 10%) were in persons who were fully vaccinated. Of the 195 who had measles and were unvaccinated, 165 (85%) declined vaccination because of religious, philosophical, or personal objections. This totally debunks the outrageous lies by antivaccine propagandist Sayer Ji and others who claim that only vaccinated individuals spread the disease. As the CDC has reported previously, MMR vaccine uptake in the USA is still high enough for herd immunity (>90%). But that’s an average across the whole country, and there are many pockets of unvaccinated children, mainly because vaccine refusal tends to cluster among certain groups. And it takes only one person who has visited and returned from a country with endemic measles (such as the Philippines, which has a significant number of visitors to and from the USA) to begin an outbreak in these unvaccinated clusters. There’s really no excuse to not vaccinate children with the MMR vaccine. 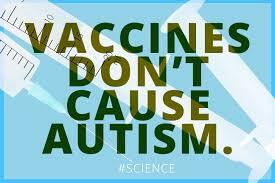 We’ve already shown that the vaccine does not cause autism. Let’s protect children from this disease, and eliminate it (again) from the USA. Gastañaduy PA, Redd SB, Fiebelkorn AP, Rota JS, Bellini WJ, Seward JF, Wallace GS. Measles — United States, January 1–May 23, 2014. Morbidity and Mortality Weekly Report (MMWR). 2014 May 29;63:1-4. Katz SL, Hinman AR. Summary and conclusions: measles elimination meeting, 16-17 March 2000. J Infect Dis. 2004 May 1;189 Suppl 1:S43-7. Review. PubMed PMID: 15106088. Updated with more good quotes. 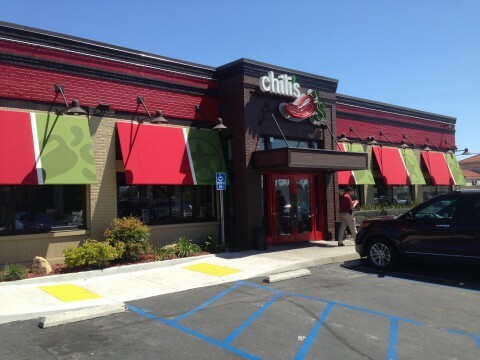 Over this past weekend, a social media protest on Twitter, Facebook, reddit and various blogs created an atmosphere where Chili’s, who was planning to contribute 10% of each guest’s check to an organization whose mission is to support the needs of the autism community, was getting stuck in a tight corner. 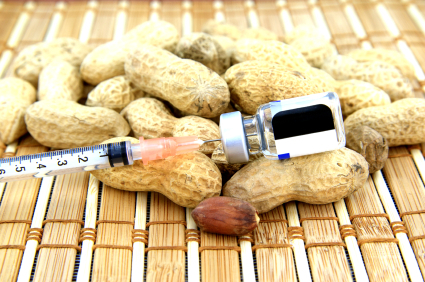 Although the National Autism Association (NAA) appeared to be a fine charity, helping autistic children in numerous ways, their explicit statement that “Vaccinations can trigger or exacerbate autism in some, if not many, children, especially those who are genetically predisposed to immune, autoimmune or inflammatory conditions,” contradicts the vast mountain of evidence that explicitly and clearly refutes any connection between vaccines, vaccine ingredients, and the number of vaccines with autism.